These are “Let’s BEAR” products that my mom working in Liberia found in the lobby of a hotel in Monrovia, the capital of Liberia. Next to the snowman and wreath, you can see a Christmas tree. Can you guess what it is made of? Look closely at the tree! 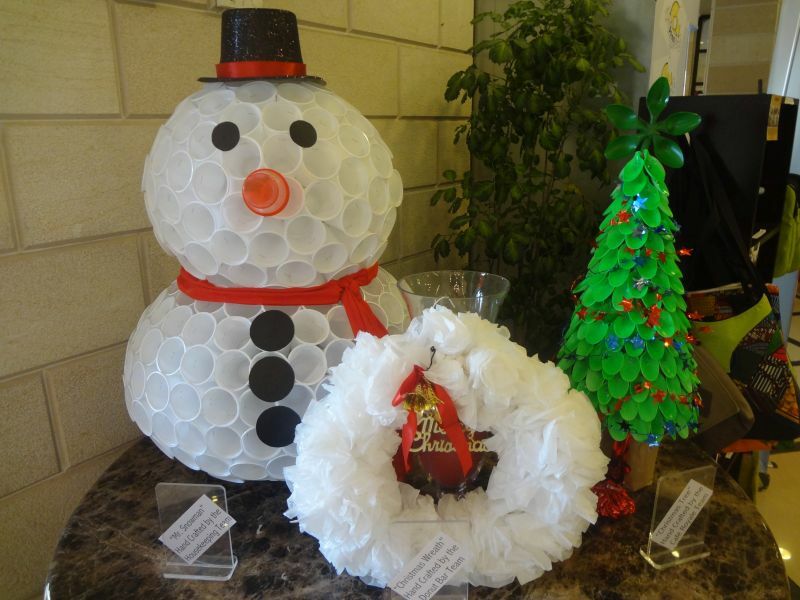 It is made of plastic spoons! Amazing! 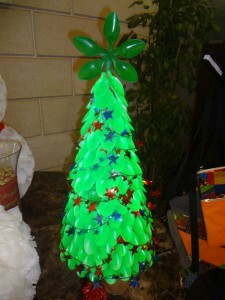 Disposable white plastic spoons colored in green are placed downwards to form a tree. It is also a good example of a “Let’s BEAR” product. For Christmas decorations, why don’t you BEAR a product like this with available resources at hand? Be Empowered with Available Resources! Let’s BEAR!